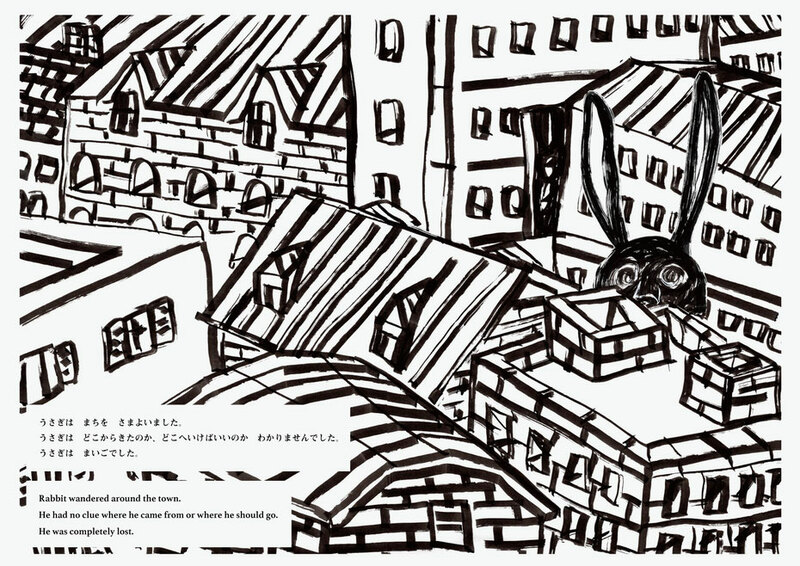 Rabbit wandered around the town. He had no clue where he came from or where he should go. 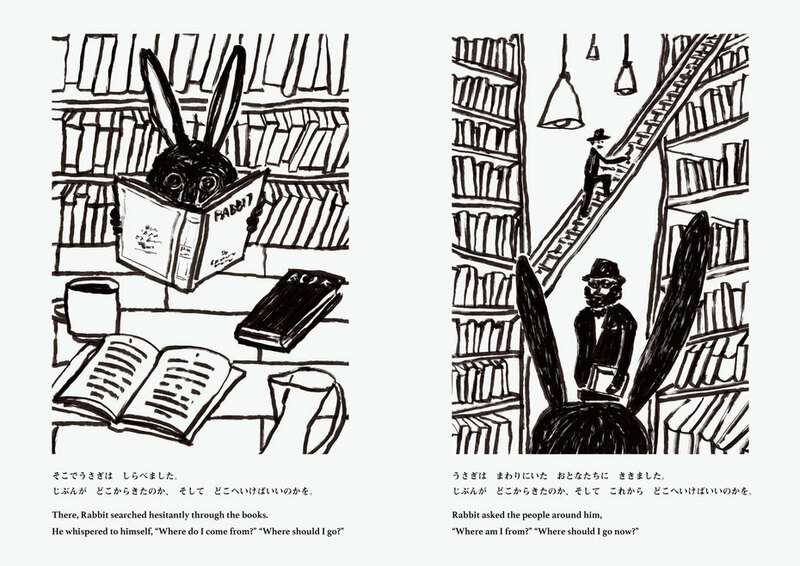 There, Rabbit searched hesitantly through the books. 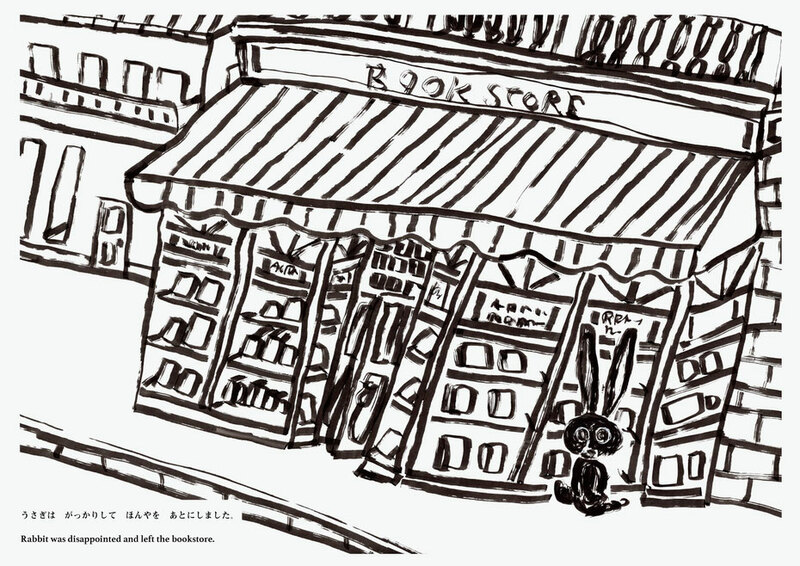 Rabbit was disappointed and left the bookstore. “Oh no! 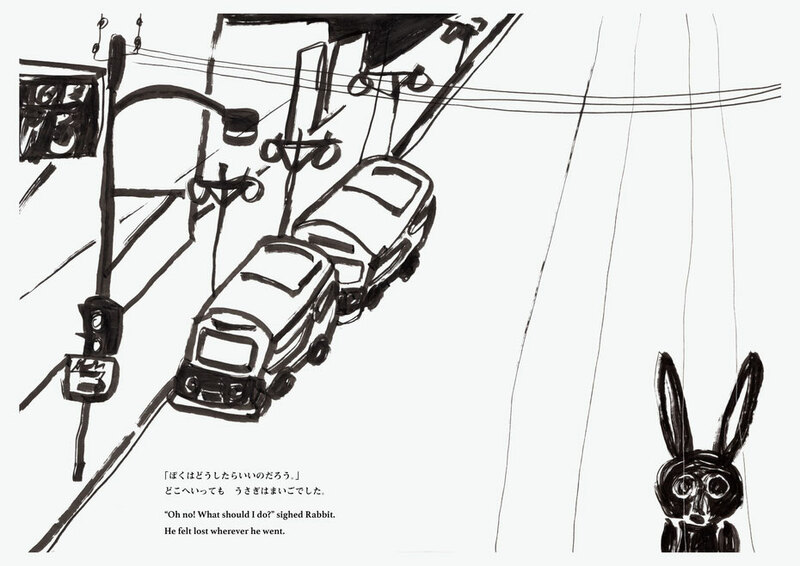 What should I do?” sighed Rabbit. He felt lost wherever he went. The background and characters were drawn with a black felt-tip pen and were combined and digitally recreated with my PC. There are times when I will suddenly lose myself in the work that I am creating. The act of facing something that has no answer makes me feel uneasy as if I was stranded in a strange land. When that happens, I have a flashback to an event in my childhood where I did get lost. The event didn’t cause much commotion, as the worst thing that could have happened was me getting lost. When I lived in Michigan, I got separated from my family and strayed into a basement during our trip. It was a dimly-lit bar where a man with a black leather jacket stood. The man yelled and got angry at me. I was suddenly surprised and hurried back the way I came. Going upstairs, I left the basement and after a while of wandering around I found my family again. This experience is the background for this story. Takashi Miyata / In 2005 I graduated Hiroshima City University Faculty of Arts. I made animation for a graduation works that made from iron sand. After that I worked for design company for 10years. 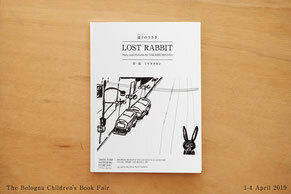 At the same time, I made a short movies for TV show, logo design for picture book writer, and book design. In 2016 I started to work for picture book writer, and illustrator. Now I am based in Hiroshima. I am Bologna Children’s Book Fair 2019 selected illustrator.